Woohoo! My site experienced the Reddit Effect first-hand. Since the visits were to a static-page, there was no trouble at all. 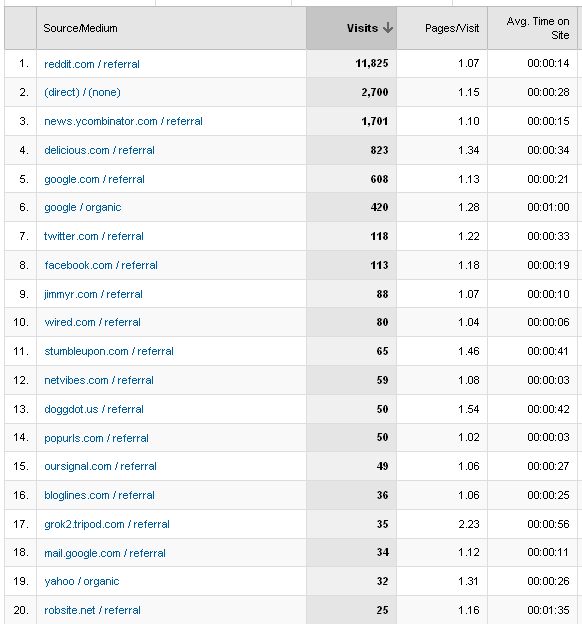 Typically my site, http://grok2.com, receives about 20-30 visits a day. Mostly from organic Google search results. Then, some time on Saturday 12th, April 2009, someone posted a link to the page “Why is programming fun?” on proggit (http://programming.reddit.com). And soon the visits started piling up. April 13th saw the full brunt of the Reddit Effect with visits from Reddit alone of about 11,825. The visits were way down on April 14th, but still were pretty decent at about 1400 visits. A couple of things are interesting to me. One is that the average time on the site was in the order of seconds. It is interesting that so many visitors didn’t really read the content on the site, but there were a reasonably large number of comments on Reddit — perhaps most visitors were quick readers of prose :-). Another thing that was interesting was the side-effect of appearing on Reddit. 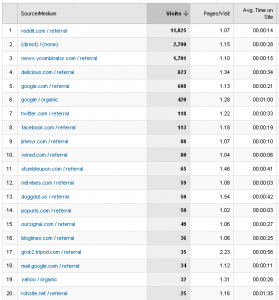 It seems like Reddit links get referred to by users on places like Delicious and Hacker News resulting in additional visits from these places. I’ve included a pic showing the various other places I got a visit from below. 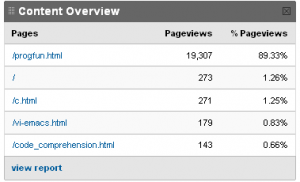 As a result of these additional sources, on April 13th, the total visits peaked at 17,204 according to Google Analytics. Overall it seems like someone took a fancy to the quote I had from Fred Brooks’ “The Mythical Man-Month” book and posted it on Reddit, but the other content on the site was not attractive enough to the visitors of the site. Need to work on that :-). 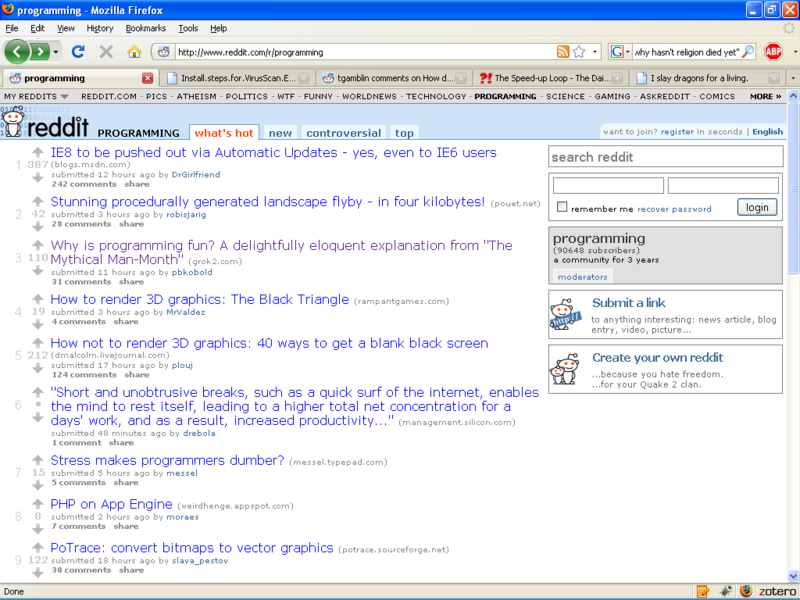 But I am pleased that a page on the site was featured on Reddit. Thanks Reddit user pbkobold. 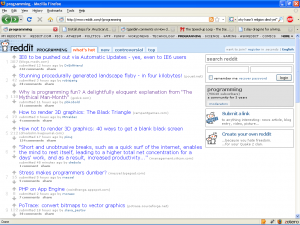 Posted on April 15, 2009 Author adminCategories UncategorizedTags reddit2 Comments on Reddit Effect Anyone?